Need A Phone While in Thailand? Having a data plan is a great way to stay in touch during your trip and is also a great way to help plan your trip and, with apps such as Google Maps, a great way to see where you are and how to get to where you need to go. If you rent a Smartphone or iPhone, you can add a data package as per your needs. While 1GB is plenty of data for the vast majority of travelers, AIS, the Thailand carrier with which we offer service, offers several monthly data bundles. Simply make sure that you have enough credit in your account and send then a text request as per our instructions and your data bundle at 3G speeds will be immediately added and available to use. Stores to purchase additional credit are located virtually in every corner of Thailand. *PLUS the price of one recharge voucher ($24). Each voucher gives you 30 minutes of calls to the US or Canada or 100 minutes in Thailand. 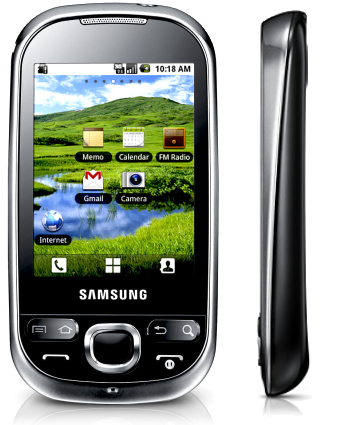 Thailand Cell Phone Rentals We offer three cell phone rental options for travelers to Thailand, the Standard Rental, a Smartphone Rental and an iPhone Rental. Most travelers who just need an affordable way of making and receiving phone calls and texts messages can certainly get by with the Standard Rental. For travelers who want to check emails, use apps such as Google Maps, upload videos or images to Facebook or other social media sites or simply want to browse the web, we recommend the Smartphone Rental or, for a larger screen and Skype capabilities, the iPhone Rental. All options we offer will give you unbelievably low call rates and mobile data rates. In addition, if you would like to either keep your existing US or Canadian cell phone number or you want to make it easier and more affordable for people back home to reach you, we offer a US number add on for only $19. This feature gives you 100 minutes of incoming calls on the US number and/or call forwarding. Feel free to purchase as many buckets of 100 minutes as you need. This is a great way to get all the benefits of roaming for a small fraction of the price. With or without this feature, all of our rentals include a Thailand phone number. How Do Cellular Abroad Rates For Thailand Compare to Your Current Carrier? * AT&T, Verizon, Sprint and T-Mobile’s rates exclude tax which is approximately 20% of the value. In addition, our solution is not a roaming solution and therefore is more reliable and faster. Your Phone Rental is ready to go. When you arrive at your overseas destination, simply turn it on and wait for your phone to display the AIS network. We will send you a prepaid FedEx Ground return label with your package. Please retain it and, upon return from your trip, drop off the package at FedEx (as per instructions) within 2 business days from the last day of your rental period. Cellular Abroad will charge late fees at their own discretion if the return shipping date is later than 2 business days from the last day of your rental period. For more information, see Cellular Abroad's full Terms & Conditions. Along with your rental you are purchasing an initial $20.00 credit voucher which will start you off with 100 minutes within Thailand or 30 minutes of calls back to the US or Canada Additional vouchers may be purchased from Cellular Abroad or from many retailers throughout Thailand. The price of the SIM Card (1 per phone).